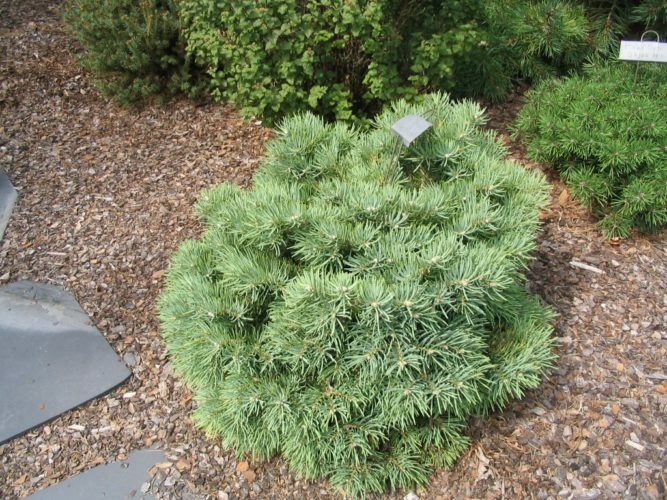 Abies concolor 'Mike Stern' is one of the smallest, tightest, slowest growing selections of White fir known in the nursery trade. The plant's overall structure and cushion-shaped. 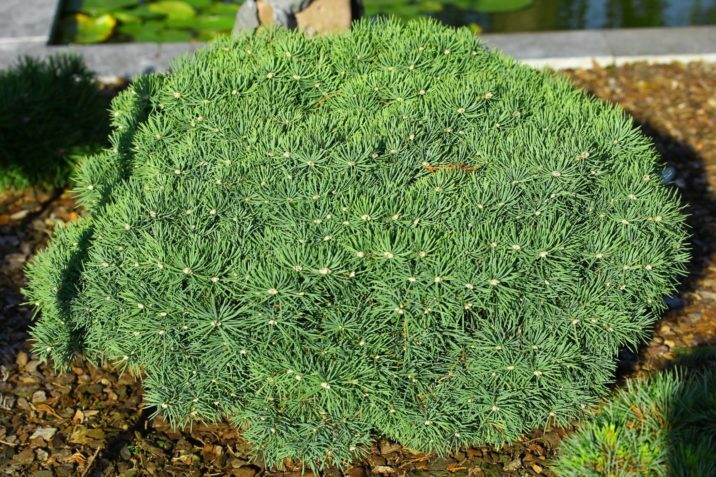 Its dense branching is adorned with gray green needles, slightly shorter than those of the type. After 10 years of growth, a mature specimen will measure at most 12 inches (30 cm) wide and 8 inches (20 cm) tall, a yearly growth rate of 1 inch (2.5 cm) per year. This cultivar originated as a witch's broom found in the late 1990s by Joe Stupka near his home in Pulaski, Pennsylvania. For some reason grafted plants grow much slower and mature to a much smaller size than the origin broom. The broom was about 9 feet (3 m) in diameter 20 feet (6 m) high on the west side of the host tree. The broom was named for home owner where it was found. Abies concolor 'Mike Stern' at the garden of Dennis Dodge, Bethlehem, Connecticut. 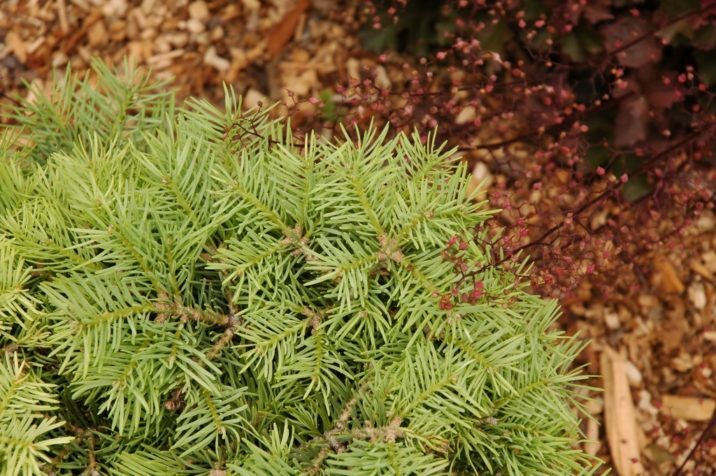 Abies concolor 'Mike Stern' — a closeup of foliage detail in early spring. Abies concolor 'Mike Stern' — a nearly perfect mature specimen in Wiel Linssen's garden, Baexem, The Netherlands.